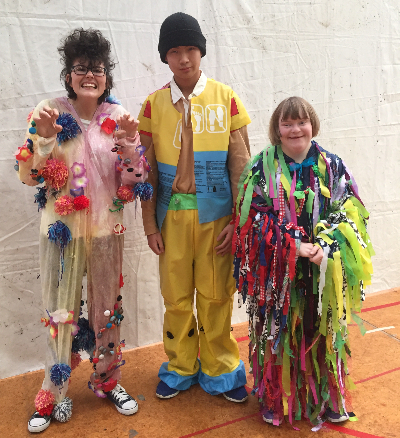 Our Learning Support students entered three garments in the Open category of New Dimension for the Schools Trash to Fashion Competition, winning the Special Achievement Award in recognition of all three of their entries. Dancing in the Rain (centre in image) was Highly Commended by the judges for its vibrancy and use of materials (inflatable swimming pool). 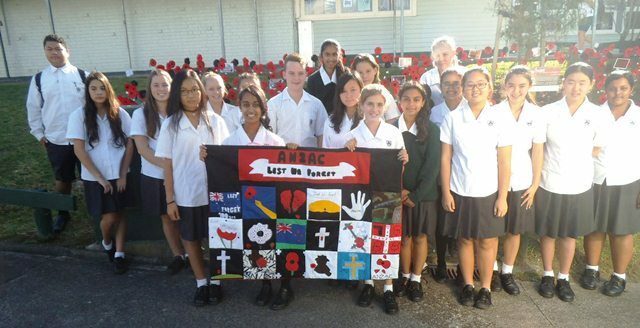 The entries were made by Sophia May, Albert Ama, Priyanka Anand, Leon Bartley, Rebecca Fleming-Yates, Andrew Huang, Xyniel Po-Nepia and James Warman. 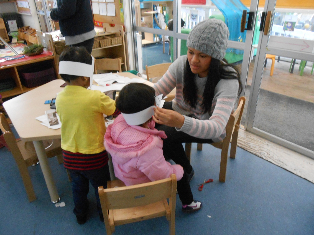 Students from the Childcare Advanced class have spent time at various local early childhood education centres gaining valuable practical experience in a real work environment. 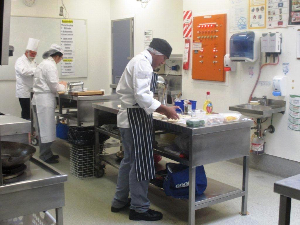 This has helped them with the theory requirements of the course. In addition, two assessments must be carried out in an early childhood education centre, so students have gained credits from this exercise. The students have really enjoyed their time working with the children and we are very appreciative of the welcome and support given to our students by early childhood teachers in our community. Two weekends ago The Schools Trash to Fashion took place at the Mangere Arts Centre and The Playhouse Theatre, Glen Eden. Students from 10 Soft Materials and Learning Support were confident in modelling their garments made from trash, in front of a panel of three judges. 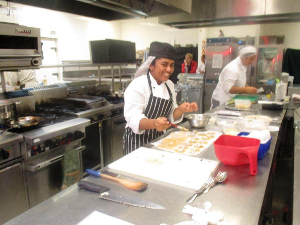 Well done to all the girls who competed and looked fabulous and good luck to the students going through to the final. Year 12 and 13 Students taking the Early Childhood Education Programme visited the Corbans Art Estate where they were taught the meaning behind and the technique of Tuku Tuku panels. Year 13 Fashion and Design students enjoyed a day out at SewTec Fashion Academy completing a workshop on industrial machine operation and constructing a tailored pencil skirt. 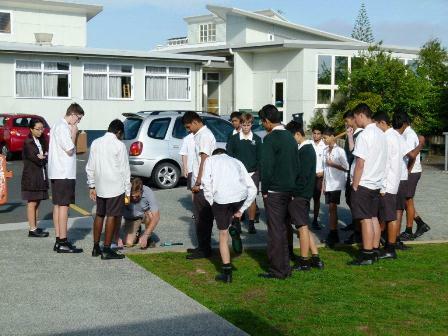 Students left with a sense of accomplishment and confidence ready to tackle the expectations of tertiary level study. 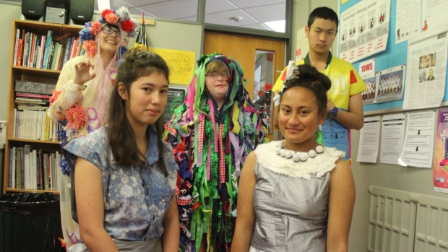 Lynfield College students Rebecca Fleming-Yates, Miyuki Gale, Sophia May, Ale Netane and Andrew Huang in their outfits completely made of recycled material. You can find almost anything in the trash. Students are taking dumpster diving to a whole new level by turning discarded materials into wearable works of art. The Schools' Trash to Fashion Awards have got students working hard on their final outfits. Hours have been spent knitting, sewing, gluing and melting materials together. Now it's time for judging. 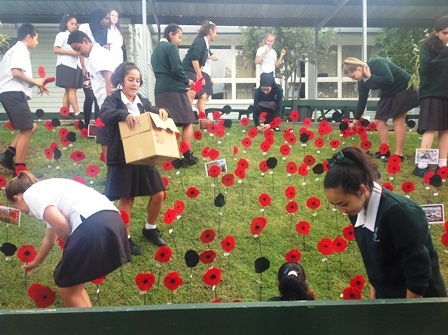 Lynfield College Year 10 students Miyuki Gale and Ale Netane have spent the past 20 weeks working on their outfits. Miyuki says moving forward from the planning stage has proved difficult. 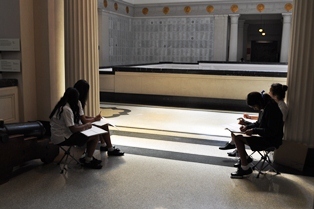 "We've been doing all the drawings and the concepts but you can't really make it exactly to what you draw," she says. "Sometimes the material is a bit too difficult and you just have to go with it." Lynfield College soft materials teacher Anna Wills says the competition helps students see clothing in a different way. "It's all about finding materials that have no life left in them and making something quite beautiful." 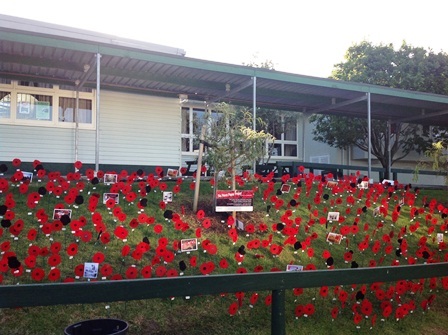 Ms Wills says the use of recycled materials also helps students get a better insight into the effect their choices can have. "It's good for them to see that what they purchase is going to have an impact on the environment," she says. Students must model their finished outfits to a panel of judges who will then select the best to go into the final stage. Ale says the catwalk will be daunting but it will be good to see what other designers have come up with. "After doing it I'll probably be a bit relieved, it's taken a lot of work," she says. 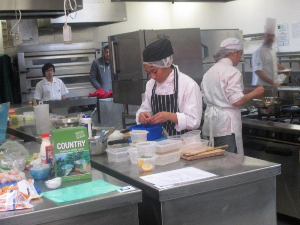 The central Auckland showcase will be held at Mangere Arts Centre on July 24 from 5pm to 9pm. 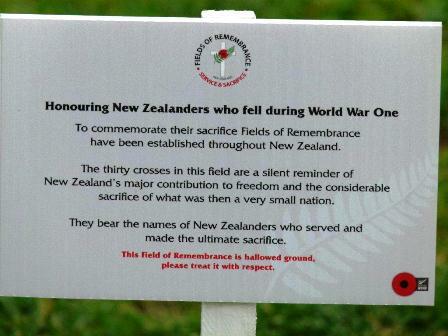 Visit eventfinda.co.nz for more information. 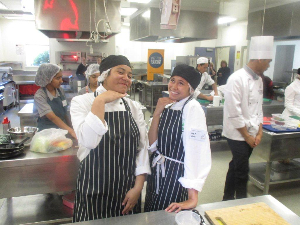 The students competed in a number of classes - barista, pasta, omelette, cake decorating, seafood chowder and 2 students were in Auckland Council's "What's Your Flavour?" Burger competition. 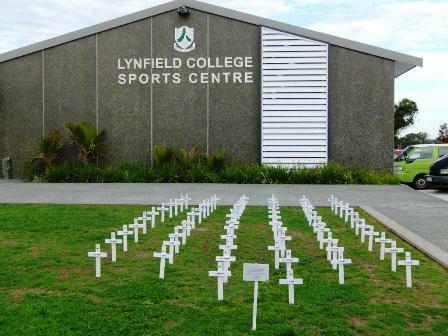 Everyone competed well and Lynfield students finished with an impressive 7 medals and 2 students topping their class. 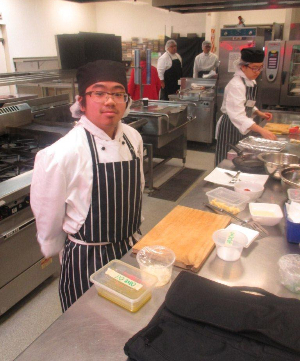 Peya Ono won the top chowder medal and class. 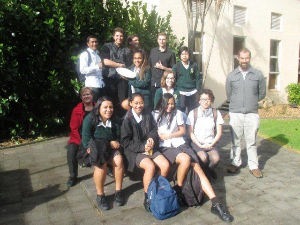 On Friday 12 June the students in Year 11 Technology - Fashion and Design went to SewTec Fashion Academy. They were taking part in a bodice workshop where they had to draw patterns, adapt the darts and construct their piece using the industrial machines. These pieces will go on display with the skirts they have created at the Fashion and Design show at the end of Term 3. An exciting and rewarding glimpse into the real world of fashion and design! 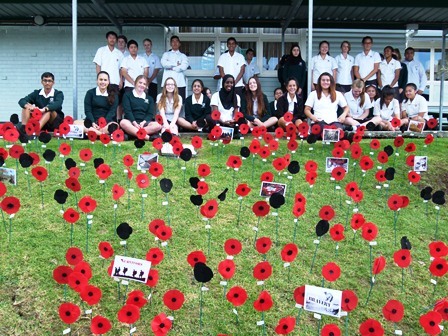 Fashion and Design students celebrated the centenary of ANZAC by creating paper doll fashion garments which were inspired by the uniforms and colours of ANZAC. 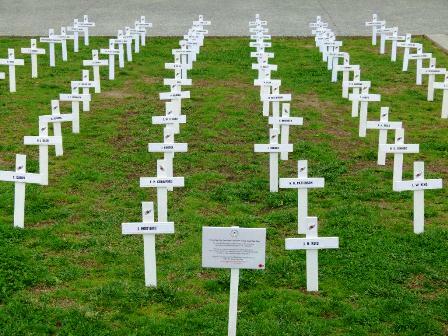 Technology students have created a Field of Remembrance at our college. The images below show students with their teacher at the beginning of the project and then the finished result. 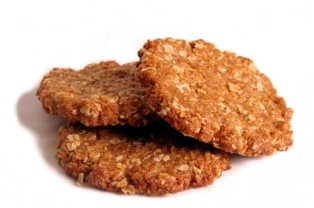 For your enjoyment..all of our Food classes have baked these special biscuits in the week leading to Anzac Day. 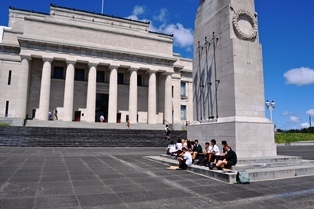 A recent Year 11 Digital Media trip to the Auckland War Memorial Museum was an important element of their year long programme entitled World War 1 Commemoration, Then and Now. 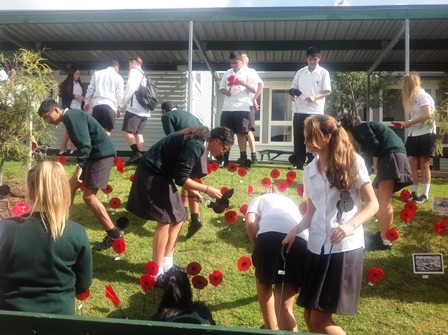 Two classes (60 students) drew objects in the WW1 display areas, studied war medals and other objects on display related to New Zealand’s involvement in the great war and students drew the museum façade outside. 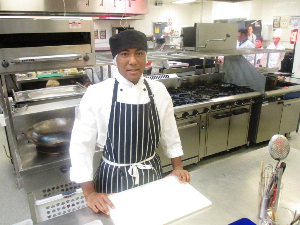 Four of our students are thrilled to be featured in the latest NZ Apparel magazine. 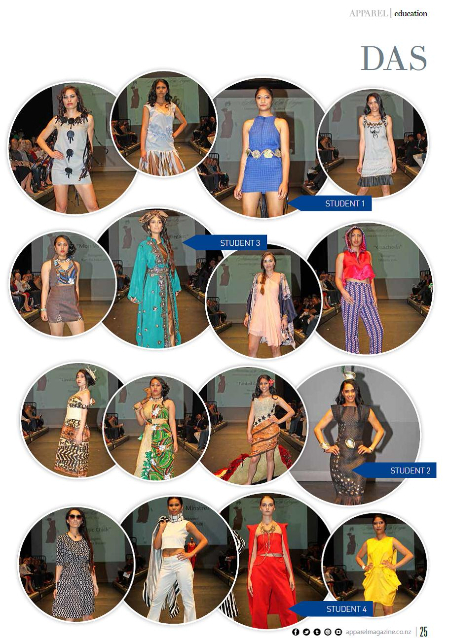 In order in the top row left to right are Ankita Lekinwala, Mele Fetuani, Stephanie Tarawa and Priyanka Rana. (Disregard the Student1 etc labels, they are relevant to another article in the magazine). These girls were entrants in the SewTec Young Junior Designer Competition at the end of last year.